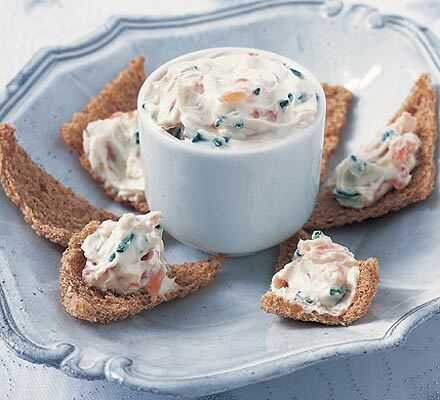 No party would be complete without some sort of crisps or chips and something to dip them into. For me that “something” has to be guacamole and I’m not talking about the rank tasting plastic tubs of crap that most is sold in most supermarkets and that personally I wouldn’t give to my chickens. 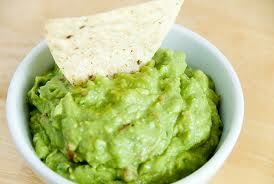 I like guacamole to have texture and flavour as opposed to just being green coloured mush. Peel and chop all of the ingredients other than the avocados. This garlic and onion should be as fine as you can get them and the tomato should be in a fine dice with the seeds removed, you can also deseed the chillies if you so wish. 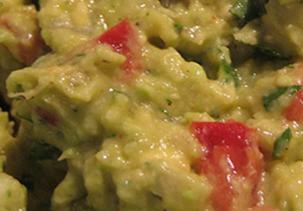 Take the skin off of the avocados and ensure that you keep one of the stones. Using the back of a fork mash the avocados until you have a nice salsa like consistency with some definate chunks of avocado left intact. Mix the avocado in with the rest of your chopped ingredients and the lime juice, season with salt and pepper to taste and garnish with a little extra coriander. Take the avocado stone that you kept hold of and pop that into the middle of the bowl holding the guacamole, this will help to keep the avocado from going off quite so quickly. Cover the bowl in clingfilm ensuring that there is as little air trapped under it as possible. I don’t have much of a sweet tooth but I was recently discussing the merits of making your own icing over those of buying those awful tubs of Betty Crocker pre-made icing that you can buy in supermarkets. The discussion ended with me setting out to prove not only that it is easy to make your own icing but that the end result tastes better to. I know that a lot of people like to use margarine in or shortening when making buttercream but I flat-out refuse to, the taste is completely different and the heavy greasy taste that it leaves in the mouth is just vile. 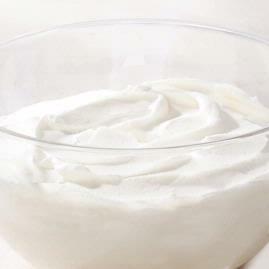 In a large mixing bowl cream together the butter and approximately 1 teaspoon of vanilla extract. You can add more or less any flavour that you want to your icing in place of the vanilla and you can also colour it anyway you wish. If you decide to use liquid food colouring then remember that a little goes a long way! 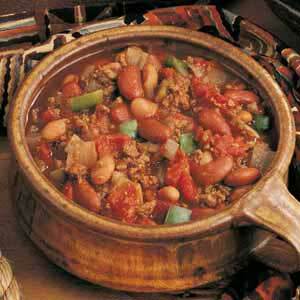 Chili con carne is a great family favourite; it is cheap, filling, easy to make and tastes great. It can also be a really great way of making sure that you get your 5 a day of fruit and vegetables or of tricking fussy kids into eating veggies that otherwise they might push around a plate without them even realising they are there. This works great for pretty much anything that you would normally use chili with more or less the only exception being chili burgers or chili dogs. If you want to make a vegetarian version of this chili you can use quorn or soya mince in place of the ground beef and some nice meaty mushrooms such as portabello in place of the chorizo sausage. Peel and roughly chop the garlic, carrots, celery and one of the onions, take these vegetables and place them in a food processor and blitz them until you have salsa like consistency. Now add in the sliced bell peppers, the kidney and pinto beans and stir everything together well before adding the tin of chopped tomatoes, the vinegar and about 1 pint of hot beef stock or water, leave over a medium heat for about 45 minutes stirring occasionally. Remove the seeds from the fresh tomatoes and chop the flesh into fine dice and roughly chop the coriander leaves add the tomato and coriander leaves into the chili along with the brown sugar and the Worcestershire sauce, stir together well. Leave to simmer for a further 20 minutes before adding salt and pepper to taste. You can eat this straight away but I prefer to leave it overnight in the refridgerator to allow all of the flavours to really incorporate into one another. I like to eat this with boiled white rice, some salsa and some corn chips. When Saturday evening rolled round it became quite evident that the grocery shopping hadn’t been done yet and that the cupboards were quite bare. No one in their right mind wants to go shopping at 7pm on a Saturday evening and so I had a quick sort through to see what could be knocked together. Luckily for us we had just enough staple items left for me to make a personal favourite; pasta with carbonara sauce. Carbonara sauce is very easy and cheap to make and yet still you see people loading up their supermarket trolleys with over-priced jars of gloop. I realise that in Italy cream is rarely added to the sauce however I prefer it this way, if you want to you can leave it out just as easily. To make your own carbonara sauce you will need the following. Dice the shallots as finely as you can and grate the clove of garlic, add the shallots and garlic to a frying pan along with a small amount of olive oil and sweat until they have started to soften. Add the pancetta to the pan and fry until it has just started to crisp. Grate the parmesan cheese into the sauce and ensure that it is well mixed in. 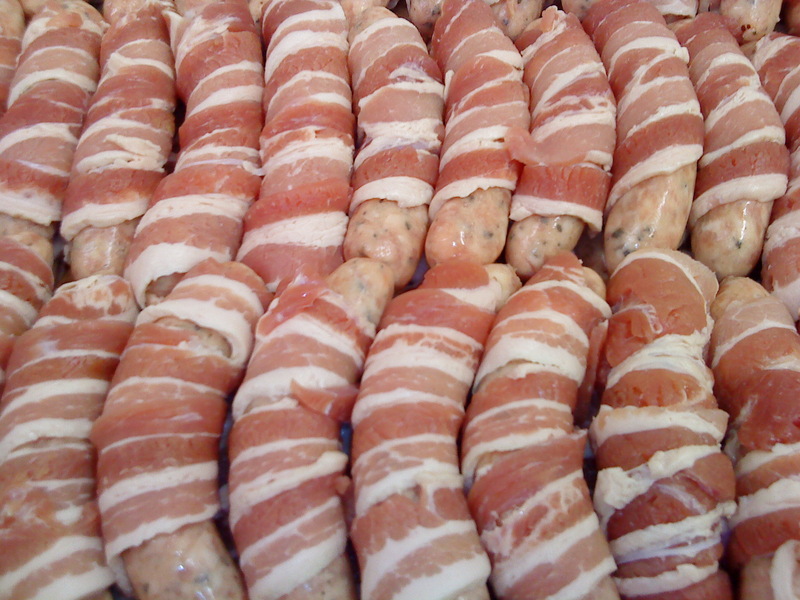 Add salt to taste – not much if any should be needed due to the pancetta and the cheese. Grind plenty of black pepper into the sauce and make sure it is incorporated well. Once the pasta is just about cooked drain it and add it to the pan with the sauce making sure that all of the pasta is well coated. If you want to add a touch of colour to the dish I sometimes like to add a small courgette cut into a small dice, this adds a different colour and texture to the dish without affecting the flavour.